How artificial intelligence is affecting your practice and how to leverage it. Artificial intelligence is the capacity of a machine to perform operations that are analogous to learning and decision-making by humans. The field was first conceived by the Greeks in antiquity, but until the 20th century, it was only the stuff of philosophers and science fiction writers. The advent of digital computers in the 1970s, however, enabled the first marketable expert systems a decade later. Since then, AI has expanded into many facets of our lives. In fact, if you think about it in terms of adhering to Moore’s law, the capability of AI is doubling every 18 months—and its impact is becoming pervasive. Indeed, some professions, such as car and truck driving, are being taken over by AI. Where are some current examples of AI? The concept of machine learning is exhibited in something as basic as autocomplete (when your word processor figures out from your past examples what you want to type) to snippets (where you tell it ahead of time what you most likely will want to type). For example, if you want to massively increase your billing efficiency, you would create snippets and then use these in billing entry, such that “TC” would automatically expand to “Telephone Conference.” But you’re not limited to small phrases. You could create a new profile for a client in your cloud practice management system and send invitations using “TOS” and it would automatically expand to the “Terms of Service” for use of the confidential site, security responsibilities of the client, etc. In an age of the Health Insurance Portability and Accountability Act, personally identifiable information, protected health information, sensitive information, and Texas House Bill 300, automation can be a significant protection for attorneys. Why should lawyers be concerned about AI? Not everyone knows how to determine whether a particular statute pertains to a given situation. Law school provided us with mental skills that we use in our everyday practices—ways of thinking that are not common outside of our profession. Since that knowledge can be used for good and ill, legal professionals are licensed by the state. A law license provides us with the opportunity to practice legally in the state and extract money from our clients. If those mental skills can be mimicked, our ability to get paid will be diminished. The automation of the legal profession is already underway. Indeed, most document review is performed by software. Websites with fill-in-the-blank forms can generate documents that previously were generated by lawyers just a few decades ago. As Kurt Vonnegut once quipped: If you compete with a slave, you are a slave. The downward pressure on fees that we’re all feeling is, in part, a reflection of the impact of AI. The high fees that attorneys command make our profession a ripe target for automation, which is inevitable as seen by its institutionalization in the larger economy. 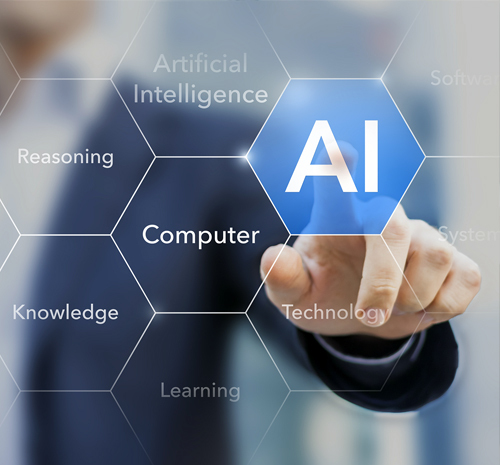 Currently, the low hanging fruit in the crosshairs of AI are those areas of law that are more rules-based, such as bankruptcy, e-discovery, and legal research. Eventually, all but the most obscure areas of law are likely to be automated. What can you do to use AI to streamline your practice? Theodore Roszak once said that computers are only good at two things: performing repetitive tasks and storing and retrieving large amounts of information. The goal here is to use computers for what they are best at—repetition and handling large amounts of data. Look for parts of your practice that can be performed by software, and automate them. This can give you time to go after more clients or be with your family. Automation can enable you to offer alternative billing structures that can make you central to your client’s business model. You don’t have to do this yourself. AI-based services are already on the market. Examples include Zapier (protocols that allow one software program to communicate with another); SmartForms, which enables sophisticated document assembly; Premonition, which makes predictions based on the judge involved; Brainspace, which employs machine learning techniques to accelerate e-discovery; and ROSS Intelligence, powered by IBM’s Watson, which is already supplanting young (human) associates in several practice areas. RONALD L. CHICHESTER is a lawyer, patent attorney, expert witness, technology consultant, certified computer forensic examiner, certified information systems auditor, and software programmer who develops and uses artificial intelligence in his law practice. For articles, go to texascomputerlaw.com. MARK I. UNGER is a family lawyer, mediator, and legal technology consultant working with firms to create efficiencies in their workflows, with an emphasis on cloud-based practice management systems. For a short video on AI and law, go to bit.ly/igniteungerai, and for more information about Unger, go to unger-law.com.